Los angeles : Earthquakes have become frequent in quite several parts of the world with the recent one rattling Nepal in the early hours on Monday. The quake measuring 5.5 on the Richter Scale shook Nepal at 5.05 AM at a depth of 10 km. 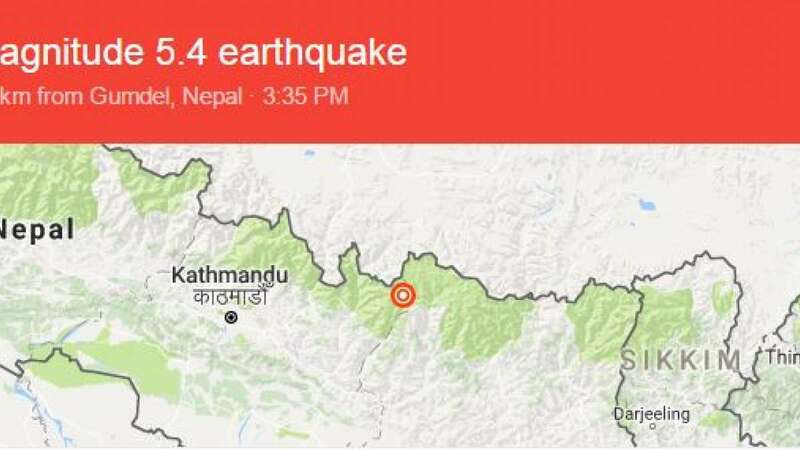 According to the National Centre for Seismology, a unit of Ministry of Earth Sciences, the quake occurred at 5.05am at a depth of 10km and the epicentre was located at Solukhumbu district near the Everest region. Nepal's National Seismological Center recorded the intensity of quake at 5.6 and said that the epicenter was situated around 150 km east of Kathmandu. Shockingly, this was the 475th aftershock, of magnitude 4 and above in the past months. No immediate report of any damage or casualty has been reported as yet. Nepal is still reeling from the devastating April 2015 earthquake which shook the Himalayan country. The earthquake was also felt in Kathmandu and other parts of central and Eastern Nepal.